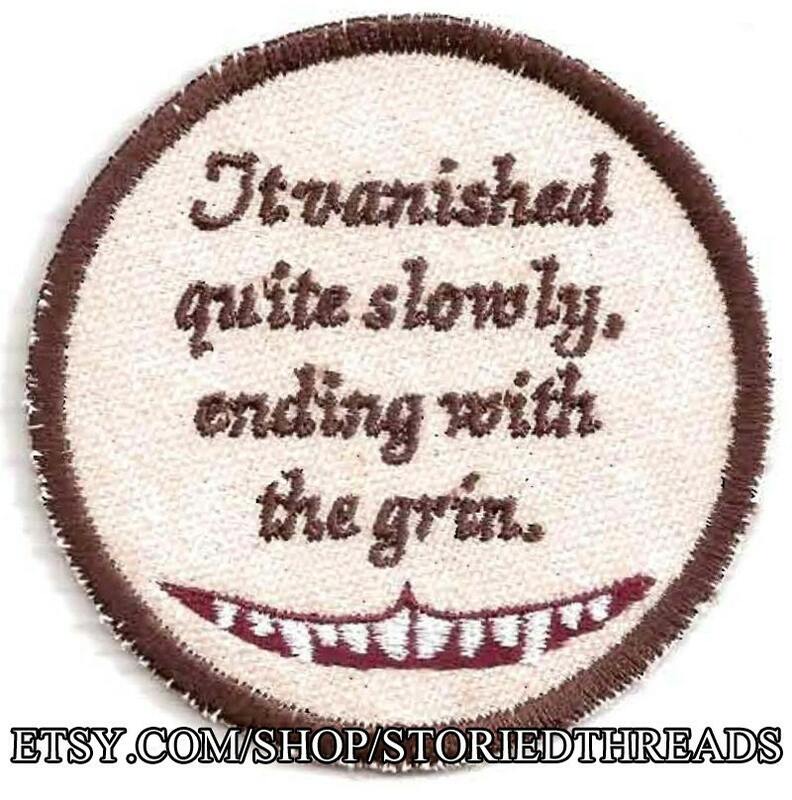 The Cheshire Cat's iconic grin is stitched at the bottom of this patch, with teeth that glow in the dark, so that when the lights go out it will, in fact, be the only thing left visible. This sew-on patch is stitched on unbleached cotton canvas and measures 3" in diameter. Design (C) 2013 Storied Threads/Veronica BaileyStandard shipping for all items is by First Class mail and does not come with tracking information. If you wish to add tracking, please ask (an additional charge may be necessary). Perfect patch!!!! Love it, thank you!! Perfect, exactly as I ordered. Thank you! Just as described and pictured!